Here are a few pics from a current project. I was curious about the limited palette approach and decided to finally start giving it a try. 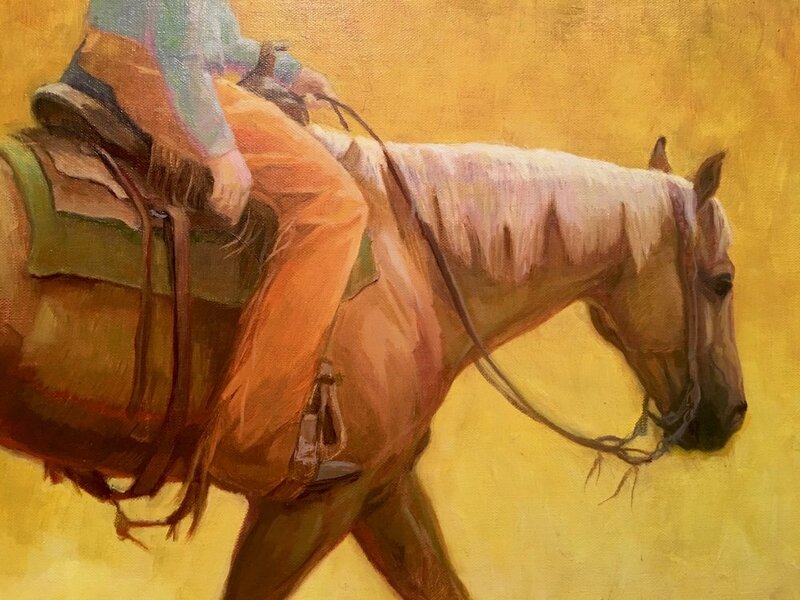 The first piece is staying mostly with a cad yellow, payne’s gray, venetian red and then I’m throwing in some ideas in the rider’s shirt with some manganese blue. Its been really fun and may end up being recreated at a larger size depending on how it turns out. This next one is payne’s gray, lemon yellow and alizarin crimson. Not very far along on this one. It will be interesting to see what comes of it.